I only ever travel with 2 pairs of pants. I might also bring one pair of shorts, but regardless of the length of the trip – one week or 3 months – there are always just two pants. Is that disgusting? It may be, or it may not, but the fact is, limiting my packing to two pants helps me travel light enough to keep all my gear in only one backpack. When you’re traveling with just two pants, they have to be (1) versatile, (2) easy to hand wash, (3) presentable and (4) durable. Designed to be the “21st Century Jean”, Outlier’s Slim Dungarees pants cover all those points. The Slim Dungarees have the durability and versatility of a pair of jeans, combined with technical features like water resistance. If the one pair of pants I pack is the Outlier Slim Dungarees, what is the other pair? Usually it’s a pair of Uniqlo slim fit chinos. Or if I’m going to be outdoors and hiking a lot during the trip, I’ll take a pair of technical outdoor pants instead. At home I only really ever wear chinos and Slim Dungarees. (I have 3 pairs of Uniqlo chinos.) I’m also a big fan of the RYU Everywear Joggers. I used to wear my Levis 511 jeans a ton, but I’m not really into denim anymore/at all, but that’s another story. The Slim Dungarees are made of Workcloth Doubleweave Canvas, which according to Outlier is made largely of Cordura grade nylon (basically a very durable material that lots of backpacks are made of) on the outer face. The inner face of the pants is much softer. The material used in the Slim Dungarees is a lot like materials used on most technical outdoor pants. The pants also have a NanoSphere® treatment, which is a technology designed by Scholler to give fabrics a high degree of water resistance. 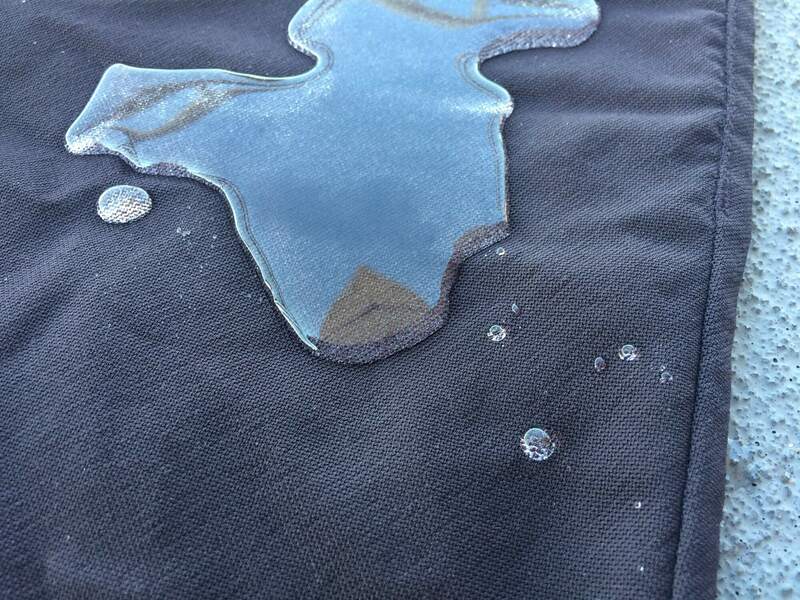 My Stio Colter Pants also use NanoSphere tech, as do many technical pants. The Slim Dungarees are durable – as sturdy as a pair of Levi’s jeans. 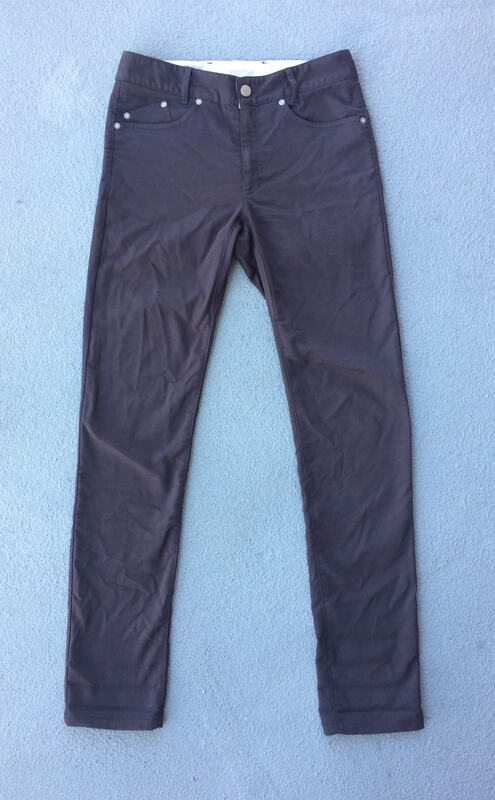 In fact, these pants are a lot like higher-class, more technical Levi’s Commuter 511 jeans. In terms of the look, think of these pants as dark wash denim. With that in mind, the most you could dress these pants up is probably with a sports coat or blazer. I’ve worn it on multiple occasions with casual linen shirts – especially while in Portugal to get those sunny vibes. When you’re on the road with just a couple pairs of pants, you have to be able to hand wash them. Anyone who has tried knows that hand washing jeans is a nightmare. And they take forever to dry. 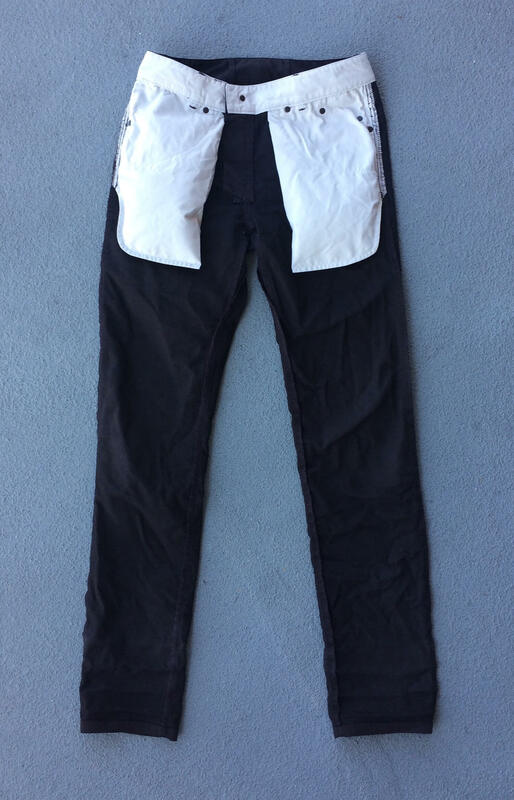 The Outlier Slim Dungarees on the other hand are much easier – I simply flip them inside out, then hand wash. The pants dry quickly as well. The pants come in either a 32.5″ inseam (for the standard size) or 36″ inseam (for the long size), so you’ll have to hem them. I’ve been cuffing my Slim Dungarees, which I can get away with, but eventually I’ll have to hem them. The Slim Dungarees have the same pocket layout as a normal pair of 5 pocket jeans. The two side front pockets are placed a bit high and are hard to put things in. 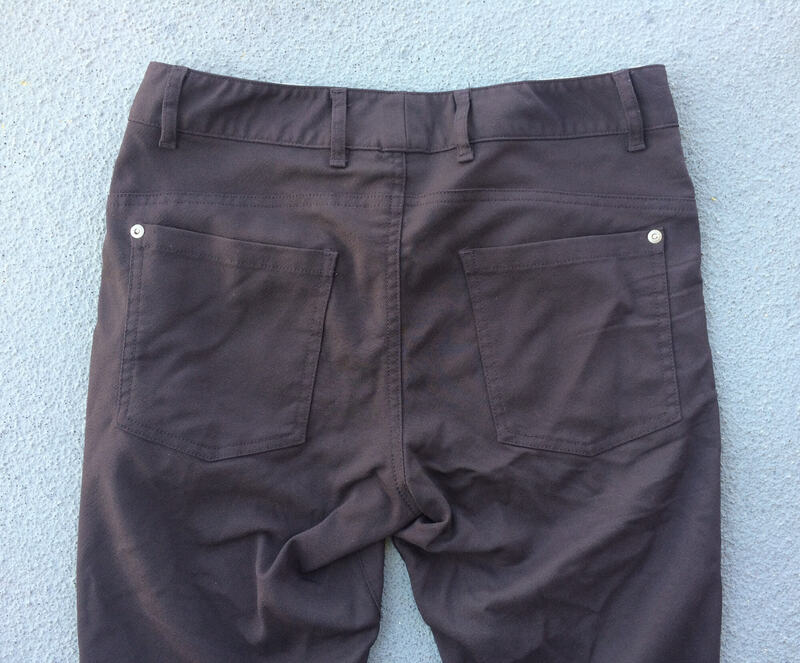 I prefer chino style pockets as they’re easier to access, but it’s not a big deal. I often place my wallet in one of the two back pockets, and it would be a welcome addition if they were zippered. The Outlier Slim Dungarees pants cost $198. My local tailor charges $12 for hemming pants. The total cost of these pants ends up at $210. Is it worth it? In my opinion, yes, but for that money, I could buy 7 pairs of Uniqlo slim fit chinos. 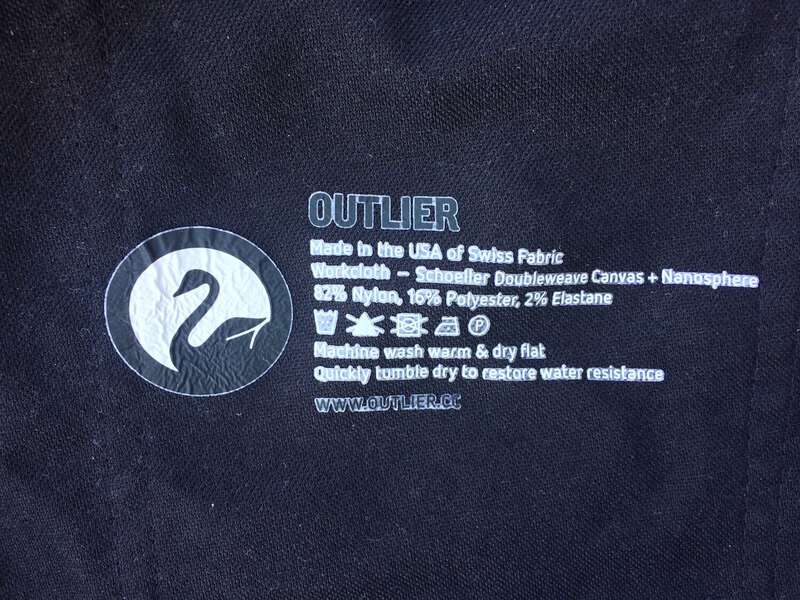 Follow the size chart on the Outlier website to get the right fit. It’s pretty straight forward, and I’m the same size in Outlier as I am in brands like Uniqlo and Levi’s. Interestingly, I’m a 29 in the Slim Dungarees and a 28 in Outlier’s New Way Shorts. The Slim Dungarees have a slim cut (hence “Slim” in the name). If you’re familiar with the Levi’s 511 fit or the Uniqlo slim fit, the Slim Dungarees have pretty much the same cut. It’s a modern fit, not too skinny, but not restrictively tight. When you first put the pants on (and when you take them out of the dryer), they’ll feel pretty tight, almost skinny. But after a few hours of wear, they’ll stretch out slightly (kind of like jeans). If you don’t skip leg day and have quads of steel, these might be too tight in the thigh. The Slim Dungarees have a gusseted crotch – a detail that all pants should have, but don’t. It gives these pants a bit more mobility. 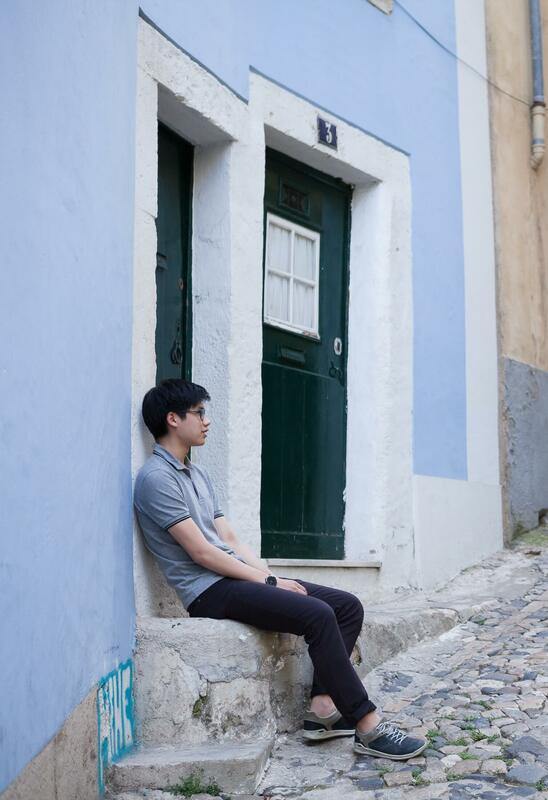 When wearing these pants for about a week straight while traveling across Portugal, I couldn’t help but think, “Wow, Outlier did a really good job.” I test a lot of gear from new, ‘start-up’ brands and often their products are either over-designed or some aspect feels slightly ‘off’. But the Slim Dungarees by Outlier are a nearly flawless, well thought out pair of pants. It’s clear that a lot of testing was put into the design. 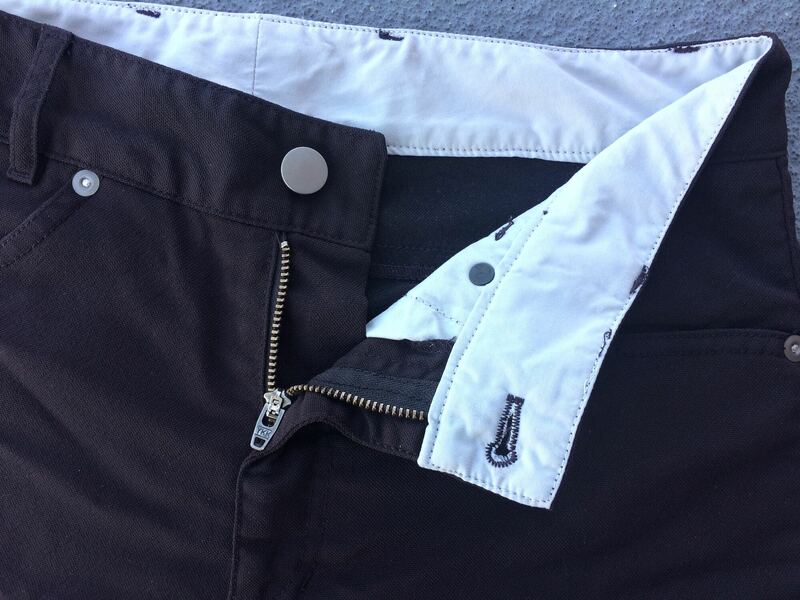 If you value good design and need a versatile pair of pants, do yourself a favor and pick up a pair. Even though I’m a college student and these pants cost retail $198, I’m seriously considering purchasing another one. The Slim Dungarees comes in 6 colors. I don’t remember the official name of the colorway of my Slim Dungarees (it looks like it’s not sold anymore), but the color is basically a very dark maroon. It’s a somewhat weird color and doesn’t match with everything, but it has character. My next pair will probably be black or dark indigo. The Outlier pants were provided for this review. As always, this Outlier NYC review contains only my honest views and opinions. 🙂 Find out more about me and this site here. What size do wear for Uniqlo?